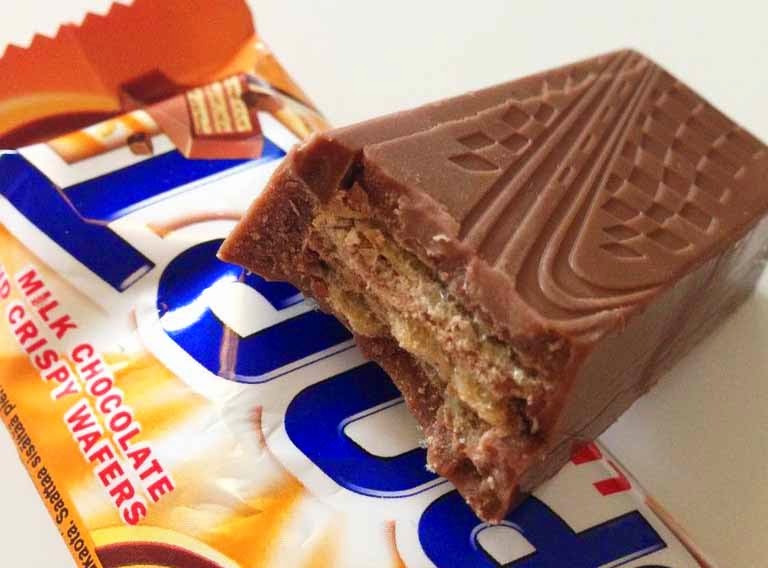 Sportlunch is a milk chocolate bar containing crispy wafers. It comes in three different sizes: 25, 50 and 100 g. I bought the smallest one, which often can be found in the Pick and Mix-candy section. The milk chocolate is very creamy and the wafer is not crumbly nor soft it's kind of infuses with the creamy chocolate . 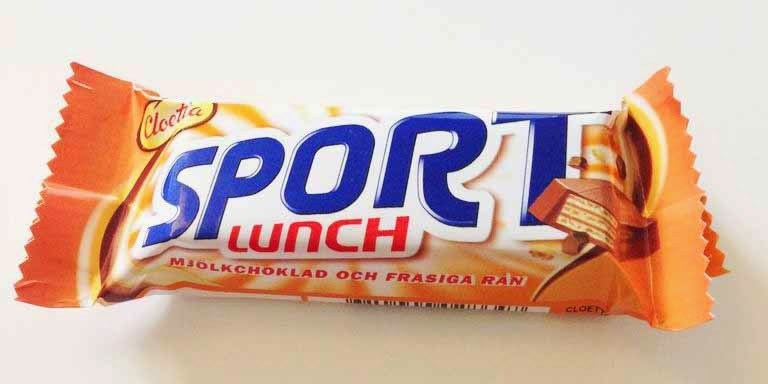 Sportlunch reminds me a lot of Kitkat but with a better quality chocolate.